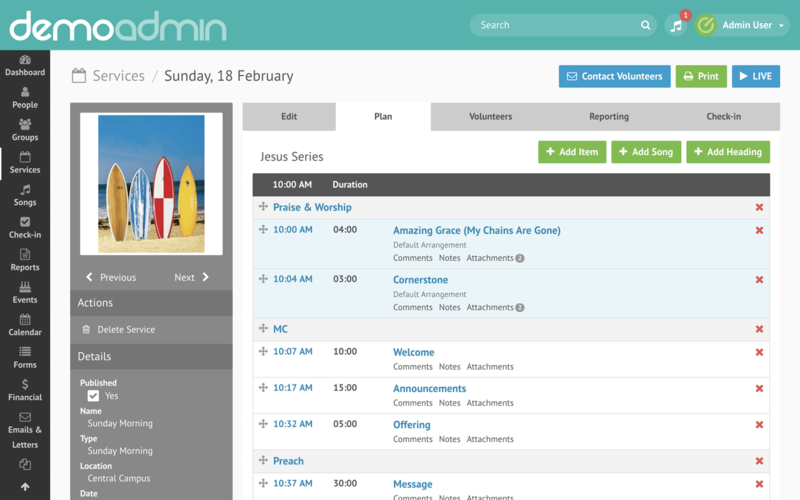 Running worship services and managing volunteers has never been easier. Worship is a key component of almost every service in your church and coordinating the worship team requires hours of behind-the-scenes effort each week. Worship planning is easy with Elvanto. Create detailed service plan/run sheets for your team that can be viewed online or printed depending on your needs. 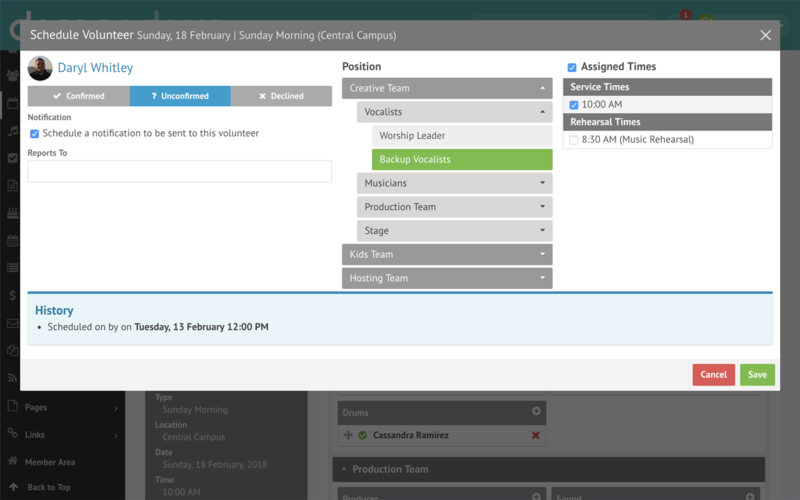 Predefine your departments & positions and assign volunteers for easy scheduling. Schedule volunteers to the positions they serve based on availability. 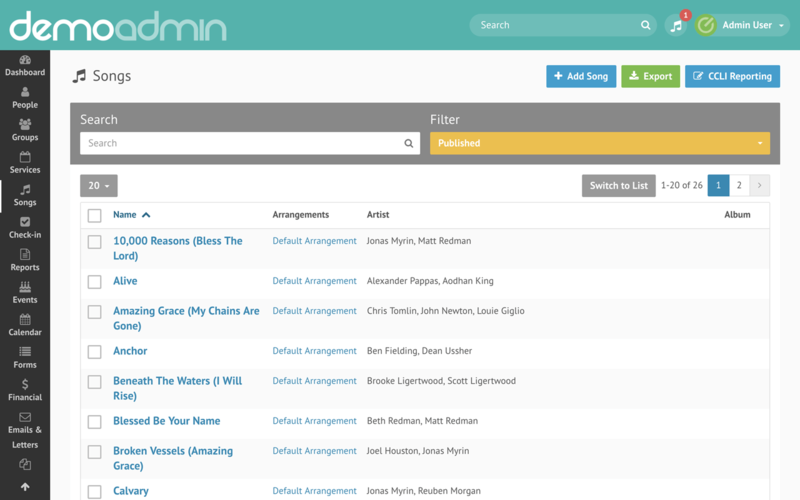 Create your very own songs database for the worship team, and add different arrangements. Volunteers can request others to either swap or replace with them for a particular service. 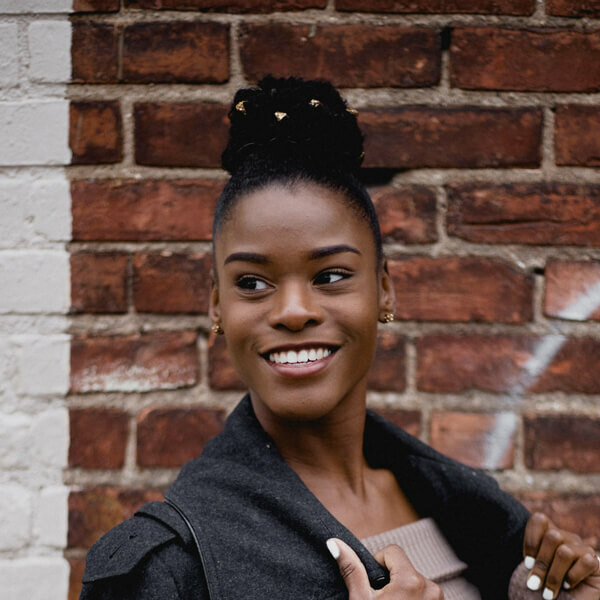 Volunteers can set their preference on how often they are available to serve. Volunteers can submit dates when they will be unavailable. Volunteers can log into their own account to view their roster, submit unavailability and update their details. 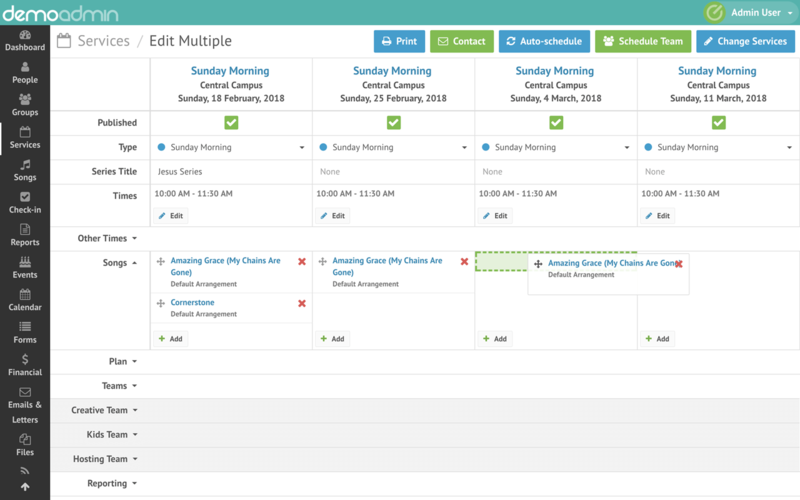 Save time scheduling volunteers by using the auto-scheduling tool. Create teams of volunteers who regularly serve together. Mobile app for volunteers to accept, decline, swap, replace and view their upcoming schedule. 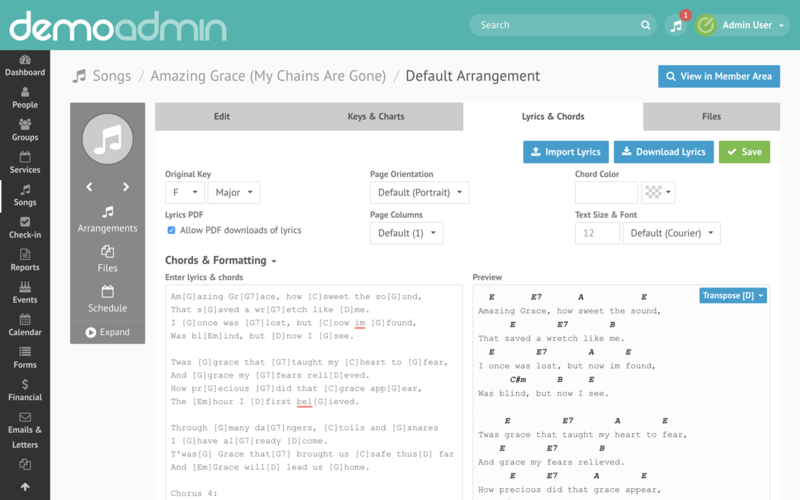 Store lyrics and chords and transpose into different keys. 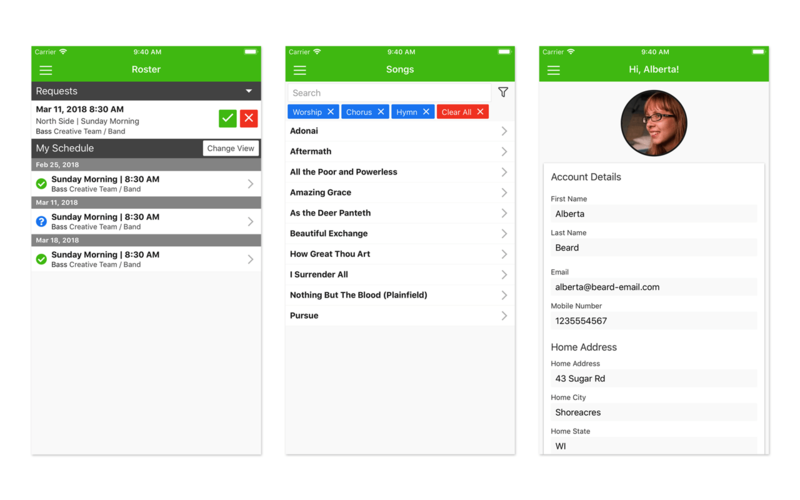 Use the built-in SongSelect integration to import songs, lyrics and chord charts directly from SongSelect. Enter your chord charts and automatically transpose into any key you'd like. Upload and share files and media with your team. Automatically reminder volunteers of their upcoming scheduling and follow-up those who have not yet responded to their pending schedule. 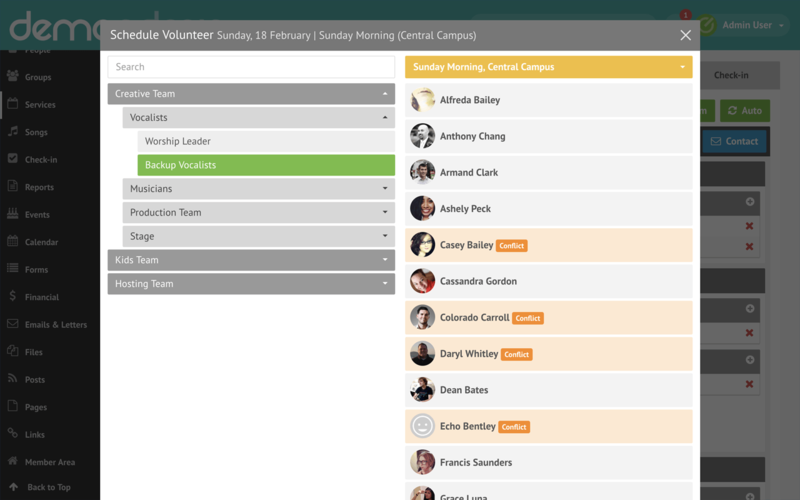 Communicate with volunteers via SMS or email, schedule future communication and use built-in templates. 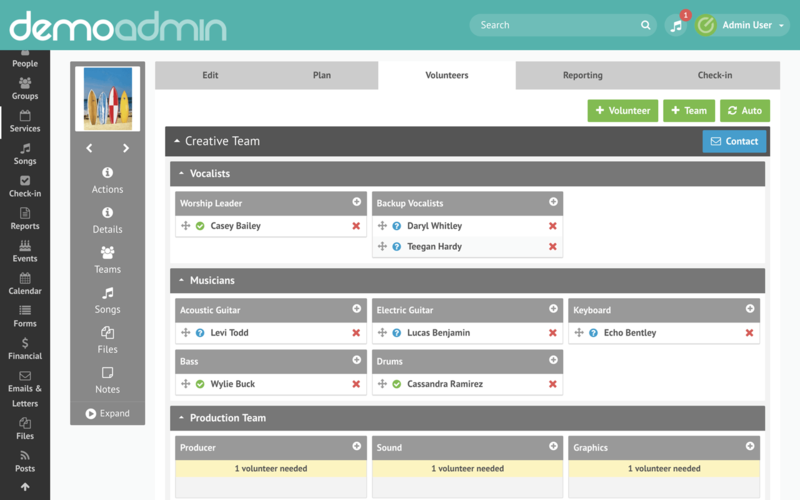 Quickly manage multiple services side-by-side and easily drag and drop volunteers between them. Create templates which allows you to predefine details of all your recurring services. 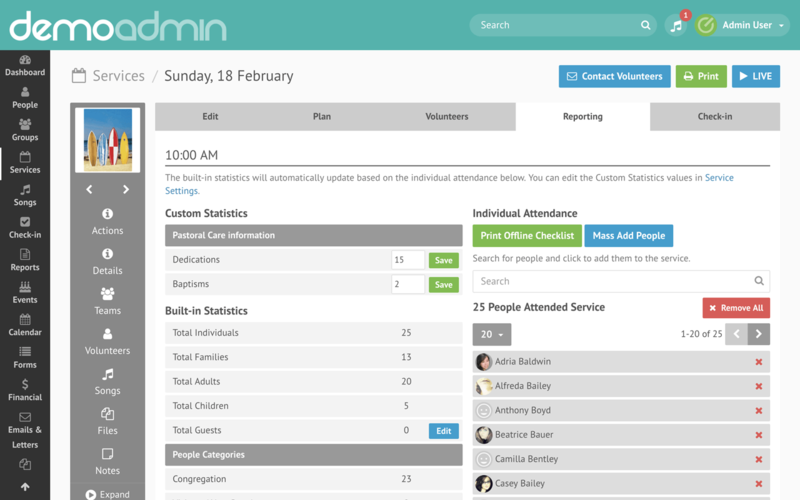 Generate reports on service, volunteers and songs. View a live feed of the current service plan/run sheet along with progress, countdowns, notes and live chat.